ANNOUNCEMENT: NOTES & PHOTOS FROM MILAN: "If Only the River Remains to Speak"
English Captions: (Above) "If Only the River Remains to Speak”, sensitive environment, MUDEC 2018. Photo: Studio Azzurro. (Below) "If Only the River Remains to Speak”, sensitive environment, MUDEC 2018. Photo: Survival International. Twenty of my black and white portraits of the women from Ethiopia’s Omo River watershed and Kenya’s Lake Turkana along with related stories and audio recordings are presented in “If Only the River Remains to Speak” — a collaboration with Studio Azzurro and Survival International that is now open at the Museo delle Culture (MUDEC), Milan, Italy until December 31, 2018. Studio Azzurro’s visionary installation design has come to life. The space is anchored by a 30-foot, sinuous red clay riverbed that seems to continue forever into the darkened room. 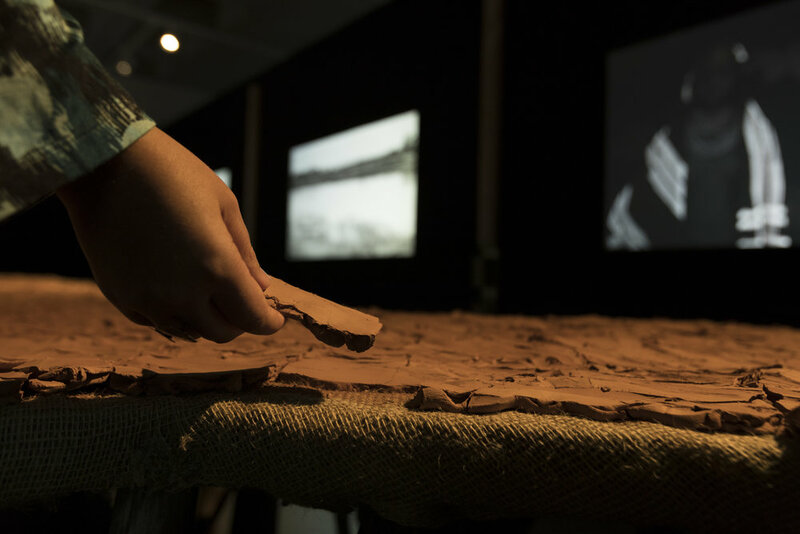 Visitors are finding it easy to approach the table-height river bed to touch its dry clay, and then select a piece of cracking red clay to use as tokens (and a keepsake) to activate the audiovisual wall displays of the women and their stories. The twenty personal stories of the women from the Omo watershed region reveal themselves on screens around the dark room, breaking through “indigenous objectification” (photographs that memorializes cultures while overlooking the reality of its living members) by including audio of their voices and text of their own stories in both English and Italian. As we had hoped, the entire experience provides a 45-60 minute virtual “visit” with the women of this region and gives them a voice in Milan and Italy where the United Nations, hydrologists, corporations and lawyers are contemplating the best way forward for their ancestral land and resources. 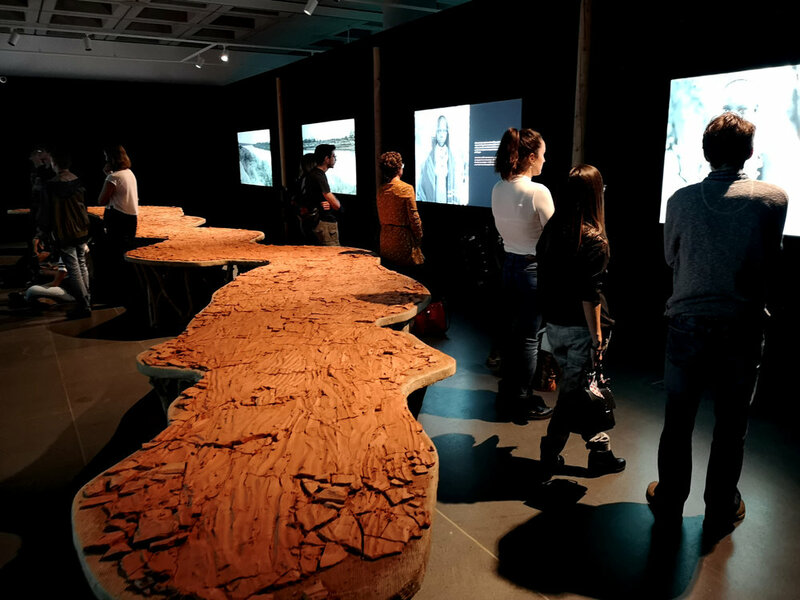 The immersive art environment forms a human connection, cultivating empathy for the struggles these women and their communities face as their flood-recession agriculture and ability to plant their seasonal sorghum along the Omo River has been compromised. The Omo River’s natural resources are being destroyed as a result of dam development and the massive Kuraz irrigation project for sugarcane. Listening to the emotion in the women’s voices and reading their stories makes it is clear that they have the same concerns and aspirations as women in developed countries. Protecting the rights of tribal people is the work of our project collaborator Survival International, who has been bringing educational programs to the museum as well as stakeholders in the issues around the Omo to encourage conversations for cultural change. Survival International has already sponsored group tours with hundreds of high school and university students. 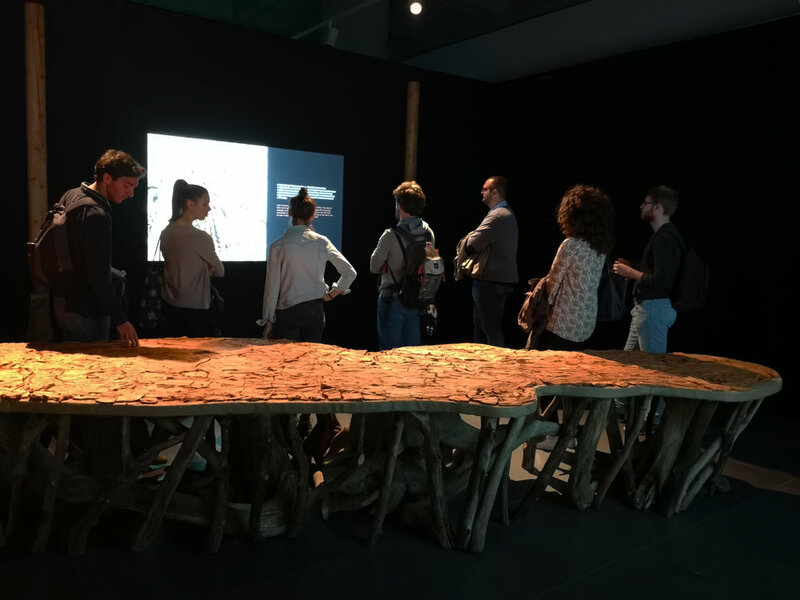 Students experience “the Omo” through engagement with the exhibit followed by conversation, reflecting, for example, on the evolution of the word “primitive” and how it has acquired negative meanings in a post-colonial world. This exercise helps to reveal our common humanity and dispel misconceptions that these communities are primitive, and reveals a highly sophisticated interdependent civilization based on an oral tradition, at risk of extinction. 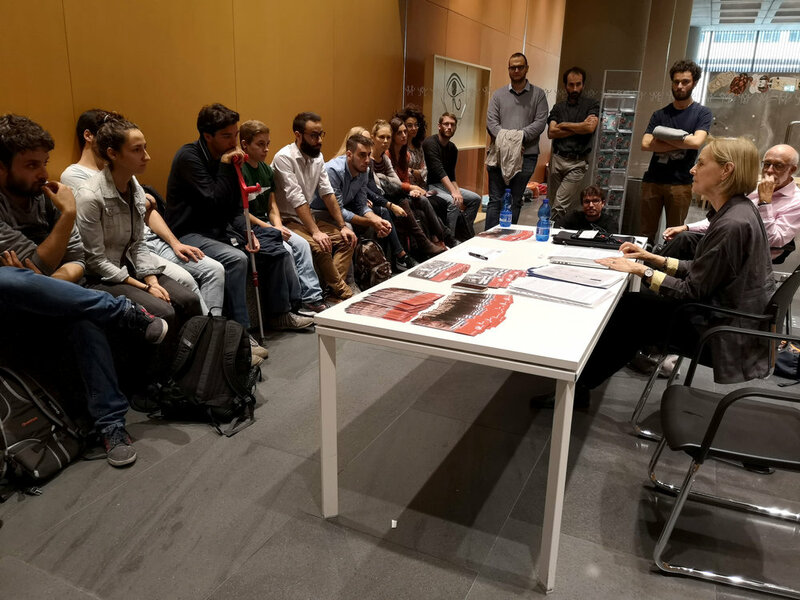 University students are also challenged to consider the real-life challenges and damages caused by mega-dam construction, and then suggest alternative energy solutions. 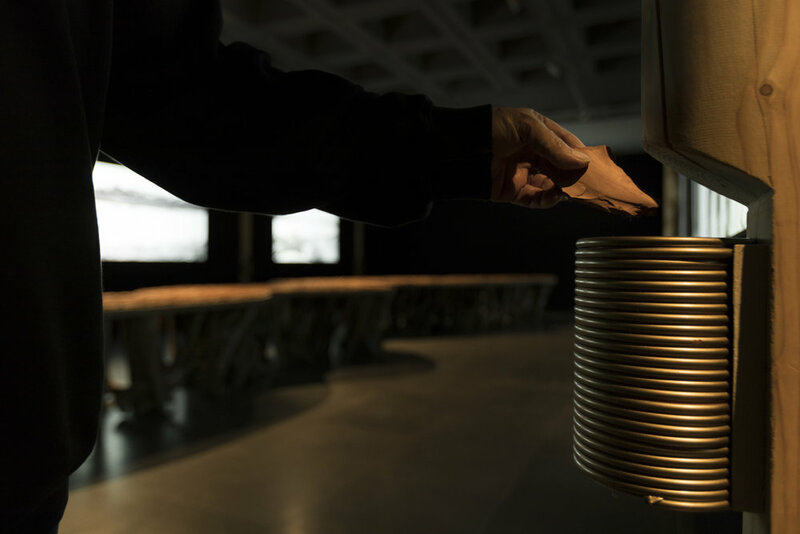 I believe that this installation is connecting cultures across miles of geography, and reminding us that we are all human.